In the Portal, as an administrator, go to 'Resources' and add the 2 custom pages .zip files. You can read more about custom pages here. In the Portal, go to 'Applications' and import the Procurement application.xml file. You can read more about applications here. Note: this simplified version of the Procurement Request process only uses one actor. 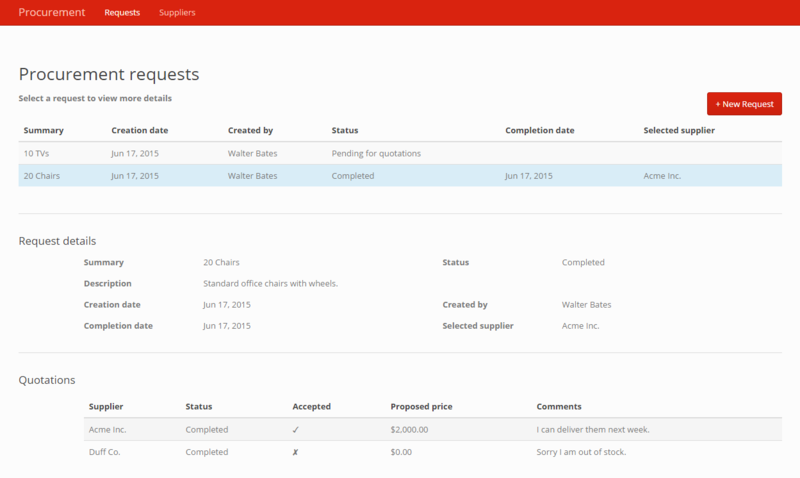 The same user can fill a procurement request and approve it himself. Please use GitHub issue tracker to report issue you might found.